I am not usually afraid to have an unpopular opinion (for example: pink Starbursts are the worst ones. Deal with it), but I am afraid to talk about this particular topic. I will try to be as respectful as possible: my goal here is not to upset people. I just feel the need to share my feelings. On Thursday this week, the LDS church made an announcement that surprised and angered a lot of people. The short version of it is this: Individuals in same-gender relationships, marriages or cohabitations will now be considered apostate by the Church. That was not the surprising part, considering that such relationships are against the core values of the Church. 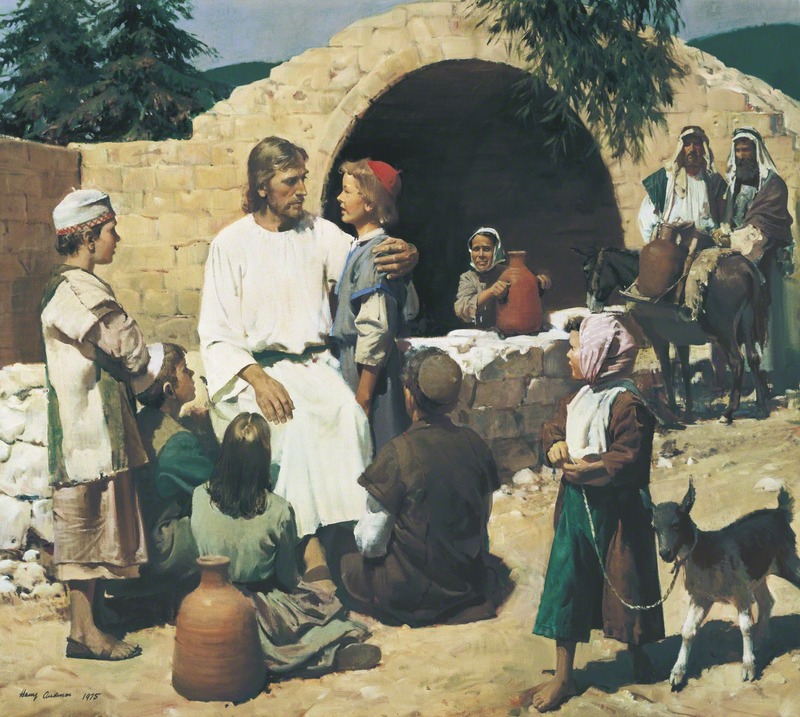 The part that has people the most worked up, however, was the far more complicated second half of the announcement: Children of same-gendered parents are no longer eligible to receive a name and a blessing as an infant, or to be baptized, confirmed, ordained, or serve a full-time mission without First Presidency approval. It sounds really, really bad on paper. I know it does. When I heard the announcement, I will admit that my heart sank when I thought of the children involved. The little children who Christ so loves... why would they be punished for the actions of another? It was hard for me to get my head around. It still is, to be honest, but I feel like I am closer to understanding now. I had the opportunity today (or yesterday, now) to talk to and read a lot of varying and valid opinions from people who I love and respect dearly. I was given the opportunity to hurt with those who are hurting, and to talk through things with friends who were just as concerned as I was. This really helped me to work out my own feelings on the subject, which I would like to share with you now. I feel like I have been blessed in my life with the ability to know the truth of things that are presented to me, and I know that the Church is true. I have been a witness to the miracles that this Gospel brings, both in my life and the lives of others. I have felt the love of God in this church, and I cannot deny that. With this knowledge, I have been able to accept that I am not meant to understand everything. I do, however, have faith in the Brethren, and I believe that they only have our best interests at heart. They are all good men with a deep love of both God and all mankind. I cannot believe that they would ever make a decision just to be cruel, or to intentionally hurt anyone. I do believe that they really do have the best interests of these children at heart. They are not forbidding them to be baptized, they just want to make sure that the child can first comprehend what that decision means for them and their families. To be baptized and ordained in the church means you need to have a willingness to comply with the standards set therein. They do not want to tear families apart, but they do need to make their position clear, and I can respect that. In my initial state of doubt and sadness, watching this video from D. Todd Christofferson really helped me find some peace. He is firm, but loving, and he explains so gently what these changes really mean for us. I highly recommend watching it to gain more insight. All in all, my personal policies remain unchanged. I will continue to love and support everyone around me to the best of my ability, while continuing to be the best Mormon I can be. Jesus Christ was a man of strong faith, but also a man of universal love. I will continue to strive to be such a person. God loves all of his little children. Our task is to show that love through our actions, no matter what. So, to all of the General Authorities, the Mormons, the non-Mormons, and to the LGBTQ community: I love you, I support you, and I am praying for you. I truly believe that everything will turn out okay. This post is AWESOME Kari.